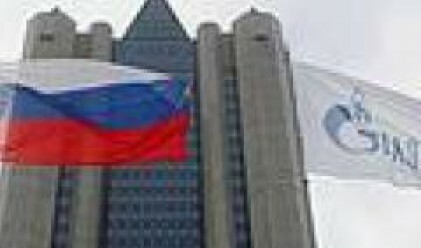 In the future Gazprom plans to become the world's largest energy company, said the general director of state-controlled gas monopoly's export arm Alexander Medevedev. „It is not enough for us to guarantee 25% of global gas consumption. We want to become the largest energy company,” he said, quoted by RIA Novosti, at the all-Russian forum „Fuel and energy complex in 21st century”. In order to fulfill this goal Gazprom is diversifying its activities into oil production, refining and power generation, Medvedev said. Gazprom's official noted that „this is an ambitious task given that [gas] prices in Russia are regulated by the state”. He pointed out that the task will become easier in 2011, when domestic gas prices are supposed to be brought on par with global levels. The head of Gazexport said that in 2006 Gazprom exported 151.5 billion cubic meters of gas to 22 countries, earning $37.2 billion. In 2005 export revenues equaled $18.4 billion. Alexander Medvedev also noted that Gazprom is working with its consumers under long-term contracts and strives to enter end-consumer markets in Europe and the Asia Pacific region. He pointed out that contracts for direct deliveries have already been signed with Italy, France and Great Britain. Medvedev also said that joining Sakhalin-2 project in Russia’s Far East will help Gazprom to become the largest player on the liquefied natural gas market as early as this year.